Historical novels present grave problems to discerning readers. One day I’ll devote a whole blog to them. Meanwhile, let me note one of the problems. Novelists are too prone to force the attitudes and values of their own times into the mouths of people who lived in past ages. Add to this the tendency of some historical novelists to judge and condemn values from the past, on the assumption that present values are the standard against which all history must be judged, and you have a recipe for what historians call “present-ism”. Many supposedly historical novels really serve us characters from our own age, superficially dressed in period clothing. So it’s with great respect and pleasure that I recommend three New Zealand novels, all published in the first half of this year, that really do manage to think themselves into a mentality from our past. They might appeal to different audiences, but they all show authors really engaging with times that were radically different from our own. 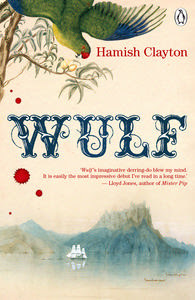 In some ways the most extraordinary of the three is Hamish Clayton’s “Wulf”, because it is a first novel. It’s narrated by an English sailor on board the brig Elizabeth in the year 1831. This was the ship which, notoriously, transported Te Rauparaha and his iwi down to the South Island where they were able to carry out massacres of other iwi because they had the advantage of being armed with muskets. With great control of the narrative, Clayton manages to avoid the sensational blood-and-guts aspect of this. Instead, he lets us enter the sailor’s mind and see his world in his terms – the strangeness of New Zealand’s landscape and sub-tropical climate, the apparent mystery of new flora and fauna, his distance from the formidable warrior-chief. The sailor’s only frame of reference is English and European mythology, so he thinks in terms of an ancient Saxon epic. Hence the novel’s title. If you have read Thomas Keneally’s 1987 novel The Playmaker (about British convicts on the fringe of Australia, 200 years ago), you will have some idea of the type of atmosphere Clayton creates. A dislocation from everything familiar. But Clayton’s descriptive powers are very much his own. An attempt to enter a mentality on the other side of the Maori-Pakeha divide is Charlotte Randall’s energetic Hokitika Town. Its first person narrator is a Maori kid who mangles the English language, but in doing so comes up with much creative thinking. He develops a moral conscience a bit in advance of some of the profiteers, prostitutes and miners who fill the pioneer town. Set in the West Coast gold-rushes of the nineteenth century, Hokitika Town has lively plotlines which in themselves manage to suggest something of the sheer messiness of Pakeha life in the days when extractive smash-and-grab industries were the country’s mainstay. 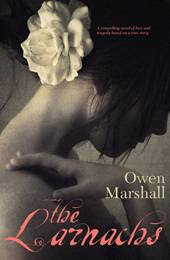 Then there’s Owen Marshall’s The Larnachs, an imaginative development of the famous story of William Larnach, the wealthy Dunedin businessman and MP who built his “castle” on the Otago peninsula, and then committed suicide during a parliamentary session in 1898 . 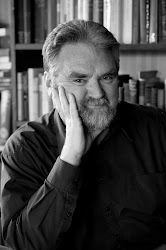 Marshall has two first-person narrators - Larnach’s young wife Conny, and Dougie, his son from an earlier marriage. In this version it is the adultery of stepmother and stepson that drives Larnach over the edge. The novel is the story of that adultery, developing gradually and in appropriately decorous Victorian language. This is a great departure for one of our best short-story writers and novelists, who has never before written historical fiction. What these three novels have in common is an original, thoughtful and credible attempt to probe the way people once thought and acted, rather than pretending that ideas and behaviour in the past were no different from what we now take for granted. All three are a rebuke to the type of cut-and-paste historical novel that depends on mugged-up historical detail and stereotypical characters. You can make up your own list of the type of thing I mean. 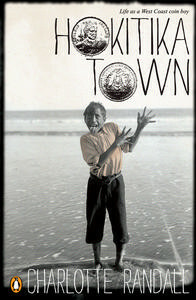 Also in the Winter 2011 issue of New Zealand Books, Ruth Nichol at first expresses some confusion over the language of Hokitika Town, but comes to endorse the novel for its “unusual and engaging” narrator with “an exuberant love of language”. She is particularly impressed by the way Hokitika Town shows the mental growth and development of the main character. First published in 2002, Janice Galloway’s historical novel Clara is a great example of the historical novel that really thinks itself into a past age – the type of thing I’ve been praising in this week’s “Something New” posting. Galloway takes a topic ripe for angry modern feminist polemic, yet manages to leave specific value judgements to her readers. The feat is more remarkable because her main characters are all real historical figures. This is an account of the life of Clara Wieck, better known as Clara Schumann and wife of the composer Robert Schumann. Their story has often been told, but usually coated in romantic melodrama and sentiment. (In 1947 a truly lamentable Hollywood weepie called Song of Love had an improbable Katharine Hepburn essaying the role of Clara]. Little Clara is trained from her earliest childhood to be a virtuoso pianist. Her father Friedrich Wieck uses techniques that would now be regarded as sadistic. They include strapping contraptions to the girl’s hands so that her fingers will be in the right concert-hall positions; and practice, practice, practice beyond the limits even of a talented and committed child. Yet Clara survives, becomes a renowned concert pianist and marries Schumann. Here, however, her problems redouble. As Clara dutifully bears eight children, her husband Robert moves from eccentricity, violent bad temper and mild neurosis into full-blown insanity. Incarceration in a madhouse ensues. Clara has to support Robert and the family by difficult concert tours. The young Johannes Brahms offers her sentiment and platonic love, but little else. I can imagine a less astute novelist turning this true story into a tract. Clara could be interpreted as the woman martyred by the patriarchy, and going from being her father’s chattel to her husband’s breadwinner without ever finding herself. Remarkably, Galloway avoids any sort of editorialising like this. There is a feminist subtext, of course. How can there help being when a perceptive woman writes of a thwarted woman of genius? Only a woman could have written the scene where the pregnant Clara’s waters break while she is in mid-concert piece, but she has to play on regardless. Yet Galloway invites us to see things as Clara herself would have seen them, and that includes her strong Germanic sense of duty and self-control and her genuine love for her impossible husband. She’s convincingly depicted as a nineteenth-century European woman and not as an early twenty-first century one who happens to be wearing a crinoline. You might know the superficial “research” aspect of some historical novels, where authors bung in extraneous historical events and personalities in the hope of persuading us that their tale is authentic. Here, too, Galloway shows her skill. She draws on the historical record, but focuses it and does not drown her characters in the background details. Europe’s 1848 revolutions are mainly “noises off”, mildly inconveniencing the Schumanns. Famous people enter the story only when they have a bearing on the crises in Clara’s life. The over-the-top Romantic Era emotions are not indulged, but are suggested effectively in a spare, understated prose. Born in 1956, Janice Galloway has published only a few novels, one childhood memoir and a number of short-stories. She is not a prolific writer, but what she has produced is caviar. Understandably, she has earned her place as one of Scotland’s most prominent living writers. I read Clara when it first came out in 2002, nine years ago. A recent re-reading tells me it is as good as I then thought it was. It is well worth hunting out and reading. 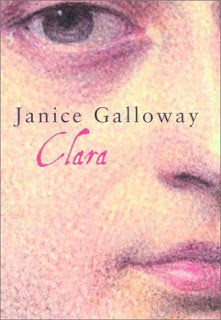 * Helpful hint – type “Clara by Janis Galloway” into your search engine, and you’ll find a really good review of the novel from the Guardian in June 2002. DO WE REALLY TEACH LITERATURE? A question has been jangling in my head recently and keeping me awake at night. Is the appreciation of literature really being taught? I know at first glance the question seems self-evidently absurd. Of course the appreciation of literature can be taught. Otherwise why do we have all those English and other language departments and programmes in universities and colleges? And why do high-school teachers force Lord of the Flies, The God Boy, The Color Purple, To Kill a Mockingbird, The Whale Rider, The Old Man and the Sea, Man Alone, The Scarlet Letter into young and unwilling heads? But think carefully about the question and you’ll see there is a real problem. If the appreciation of literature means responding perceptively to what authors have actually written, then is it really being taught? Let me illuminate the problem by telling you what I know about a specific writer. I’m quite knowledgeable about Elizabeth Gaskell and her novels. I know that she was not quite up there with classics like Dickens, George Eliot and Thackeray, but that she was an esteemed Victorian writer who has retained a considerable readership. I know that she is now much lauded by feminist academics because she gave a distinctly female account of early industrialised England. I know she wrote Mary Barton, Cranford, North and South, Wives and Daughters and other novels and short stories of small town, industrial town and domestic life; and I know that some of her work first appeared as serials in periodicals like Household Words and All the Year Round. If you sat me down in front of a school exam question on Elizabeth Gaskell, or confronted me with an undergraduate essay topic on her, I’d be able to concoct a creditable answer. I could sagely discuss her themes – the circumscribed lives of women; the power of gossip; the clash of older village ways with industrialisation in England’s “railway age”; the beginnings of wage slavery; class divisions between the squirearchy and the middle classes; the ties that bind small communities together and so forth. I could name her main characters, write accounts of them, and neatly précis her plots. I could even make some apt comments on her style and her tendency to focus on the minutiae of life. All this would be off the top of my head from what I already know. Give me spend and hour or two to look some reference material, and I’d do even better. But here’s the rub. Although it pains me to admit it, and although I should be performing ritualised penance, I have never read a single word of Elizabeth Gaskell’s works, even though three of her books sit on my shelves as I write this. Having never got around to her, I have simply accumulated knowledge of her from other sources. These include passing references in general histories of literature; what I have heard other people say about her; enthusiastic recommendations from an Elizabeth Gaskell fan whom I knew some years back; and my having seen two BBC TV serial adaptations of her work – North and South and Cranford. Everything I know about Elizabeth Gaskell is second-hand. My eyes have never travelled across the words she actually wrote and I’ve never experienced or assessed how she wrote. Which brings me back to my original question – is the appreciation of literature really being taught? After all, if the study of literature is supposed to be training our responses to the process of reading itself, to a particular writer’s style, and to the impact of the words on the page, then plot summaries, character studies, background sociological or biographical detail, what eminent critics have thought and the neat corralling of themes all have very little to do with it. Those things can be acquired without ever bothering to read whatever is supposedly being studied. They are a form of knowledge, but they are not an appreciation of literature. Regrettably, these methods will often be the very ones that earn an A+. Real literature for adults is allusive, can be read on many levels, and does not often lend itself to simple interpretations of the sort that one dashes off against the clock in exam or term-paper conditions. The student who has dutifully ploughed through, puzzled over and personally responded to something compendious like Bleak House may well be at a disadvantage in comparison with the student who has memorised by heart ready-made phrases about style, plot, character, themes, historical significance and so forth. I have often enough been on the other side of the fence as a (secondary- and tertiary-level) marker, and I know that a forthright, organised, clearly-expressed, information-packed answer will usually trump a sincere but more tortuous answer. Clarity and a genuine personal response to a text are not mutually-exclusive. Yet the organised, clearly-expressed answer is more likely to be the parroted answer. I am reminded of a true story Solzhenitsyn once reported. An official Soviet-era manual advised students not to bother reading Tolstoy or Dostoievsky, but just to read the summaries of their novels given in the manual. The books themselves would be too “confusing”. Soviet officials may well have had ideological objections to undiluted Tolstoy and Dostoievsky, with all their religious and non-materialist concerns. But the manual’s advice was a frank admission of the same process that is encouraged by our own pedagogy. I’m further reminded of how often, over the years, I have heard blowhards boasting that they won high grades in school and university courses just by memorising bits of a “study guide”. Usually this has been said to me as if it were a sign of the speaker’s extreme cleverness. In fact it merely references a game whose rules all teachers and academics fully understand. There are some fairly obvious responses to what I am saying. One would be to ask whether any of it matters. After all, if high school or tertiary students of literature are gaining credits in NCEA courses, or passing their examinations, then what does it matter how they acquired the relevant knowledge? This approach appeals to principals whose chief concern is making their schools look good in a competitive market (between schools, NCEA is just as competitive as older national examination systems were). It appeals equally to supervisors of tertiary academic programmes, whose funding relies on a successful through-put of as many students as possible. But it implicitly negates the whole reason for studying literature in the first place. It says that a real encounter with an author’s written words is less important than knowledge about those written words. Literature is reduced to useless data, encouraging many students to regard the whole concept with contempt and to avoid ever reading anything challenging again, once they have their degree or certificate. Another response would be to point out that I am really talking about means of assessment rather the study of literature itself. What about those teachers who ask students to compile reading journals, or to compose personal and subjective responses to what they are set to read? What about those who devise tests and exercises that require recall of a text’s actual wording? What about seminars which challenge students’ understanding and discuss specific given passages of a text? I concede that assessment of students is one of the main things that concerns me. I acknowledge, too, that the more advanced the level of study, the less easy it becomes to hide behind ready-made packages of other peoples’ summaries. Generally, high-school students and undergraduates can get away with it, but at the postgraduate level it is much harder. (Not that it is impossible, mind. And a little creative re-wording can usually circumvent the electronic guards that most universities now use to prevent outright plagiarism in students’ work.). But I am still on firm ground when I note the prevalence of pretending to teach literature itself, while actually encouraging students to value facts and opinions about literature. Some years ago, as a conscientious high-school teacher, I used to read the “model” essays that were sent out to us as examples of the best students’ work in the old Bursary and Scholarship English exams. I became rapidly disillusioned as I noted how many of them could have been written without even opening the works that were supposedly being analysed. One such “model” essay, earning top marks, was a collection of well-ordered, clearly-expressed current clichés about the role of women in literature. It had only a peripheral relationship with the Virginia Woolf novel that it was ostensibly discussing. Doubtless the student who wrote it was a very intelligent 17-year-old (or Year 13) student. Doubtless, too, she had carefully memorised everything her teacher had told her. But she was not responding to literature. She was repeating something that had been squeezed out of literature before she got to it. I could pile up the depressing anecdotes along these lines. I once met a high-school teacher at a training day who proudly circulated materials he gave his senior classes, telling them that “there are two ways to study a novel”. One was to read the novel. The other, which he recommended to his students as less laborious, was to watch a good film or television adaptation of the novel and then read a study guide. So much for encountering the words on the page. Then there was the lecturer who claimed that it was unimportant for him to read the works on which he lectured. All that mattered was that he knew the work’s cultural significance, its place in literary history and the chief critical arguments and controversies it had aroused. In effect, the lecturer gave second-hand opinions to his students who (unless they took the unusual expedient of doing their own reading) would eventually give him back third-hand answers. In our senior national high-school Bursary and Scholarship English exams, there used to be a compulsory “unseen” question, in which students had to interpret a poem or piece of prose they were seeing for the first time. It was the one part of the paper that challenged them to demonstrate their own reading skills and perception, as opposed to regurgitating what they had been told. Of course it was eventually judged to be too hard for too many students, and ceased to be compulsory. So it was back to a paper which encouraged students to write what they had been told about literature, rather than what they had personally experienced of it. I am, however, encouraged that a similar “unseen” interpretation question is now part of NCEA exams. As a teacher, one of my preferred forms of torture was to photocopy extracts from the novel my class was studying, and then make the students, under test conditions, identify where it came from, what it meant and what the passage displayed that was typical of the author’s style. Perhaps one day I will get around to reading Elizabeth Gaskell. I might then be able to answer such contextual quizzing about her. In the meantime, having not read single word of hers, I am fully equipped to pass whatever standard test a standard literature course on her could throw at me. I know at least as much as an A+ student would.